Hmm… Notice a significant rise in Korean influence within Paris lately. 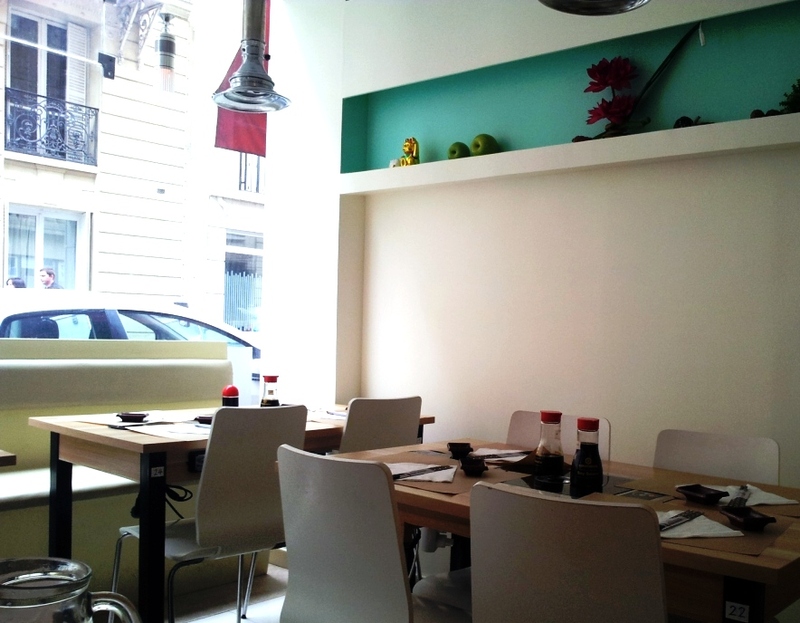 What I find really weird / Interesting is how a lot of the restaurant now in Paris, combine Japanese and Korean food together. Whenever you enter a restaurant (which you think is Japanese), also serves Korean! For European who might not be really familiar with these 2 cuisines, they might find it very similar. But, to me, Japanese and Korean food is like totally different. On one end, Japanese cuisine is very delicate in taste, light and not oily. 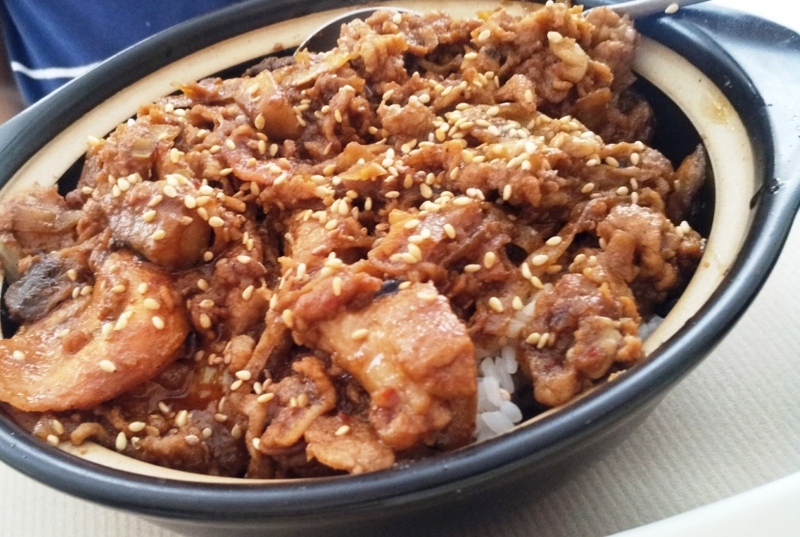 On the other end, Korean cuisine is very strong in taste; heavy and quite oily. Anyway, hub and I was strolling by Rue Lauriston when we spotted this quaint little café / sushi shop. And, we were shock when we see korean food listed in the menu. Sushi shop serving korean food? interesting…). As we were quite hungry, we decided to hop in and have a quick meal (I was attracted to them because they serve bibimbap. It was raining the whole day and it’s just so blissful to be able to sink my teeth into something really HOT). The waiter / chef speak mostly French and very little English. Luckily, he also speaks Japanese. So, with our half past six French and Japanese, we manage to place our order. Yay! 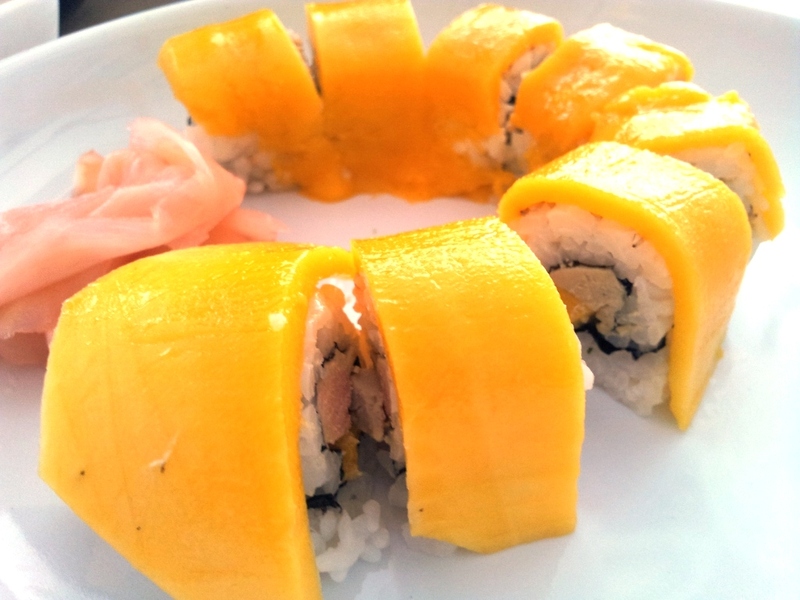 First thing we ordered was the mango Foie Gras Sushi. Look how beautiful it is. I love the color of the mango. It was so sweet and juicy. Unfortunately, too sweet for this dish. The taste of the mango was so powerful that it totally mask the foie gras. A little wasted in my opinion. But, it was still yummy. ahh…. 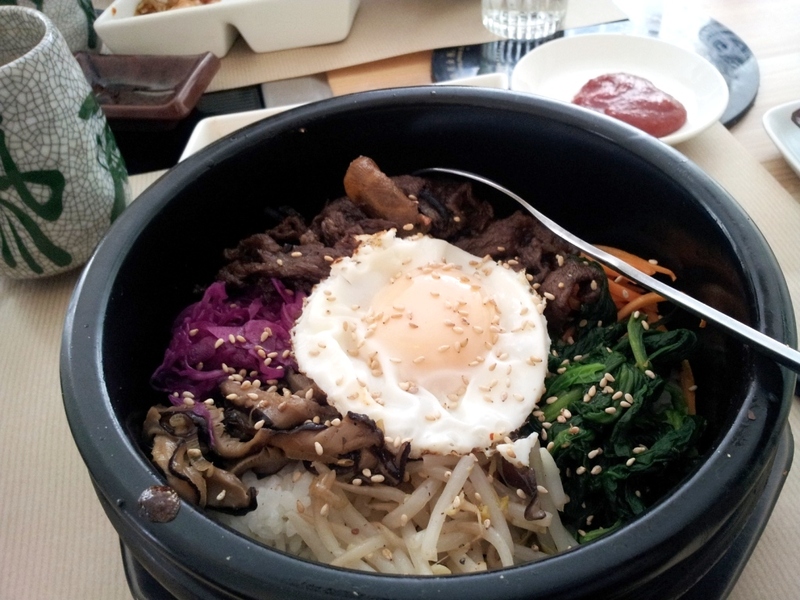 my bibimbap. So nice and hot. It was actually quite good. The only thing missing is cucumber. I think it would have add a little more crunch to this dish. Hubby’s pork hot pot. It was not bad. A tad salty for me, but, that’s quite norm for Korean food. 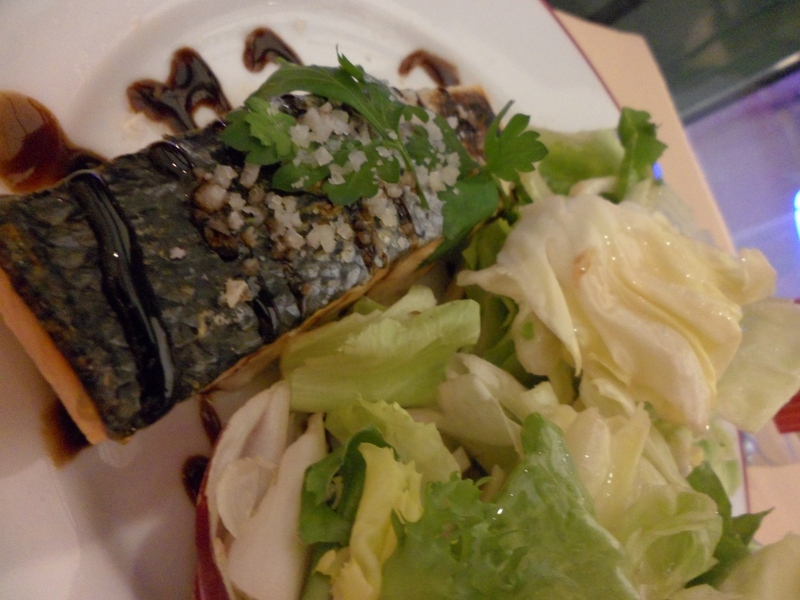 I was pondering for some time before writing a post about this restaurant / bistro. The reason ? It’s a chain restaurant in France. So, it is sort of like blogging about McDonald’s or TGIF or Italiannies (Malaysia). But, it’s French!!! 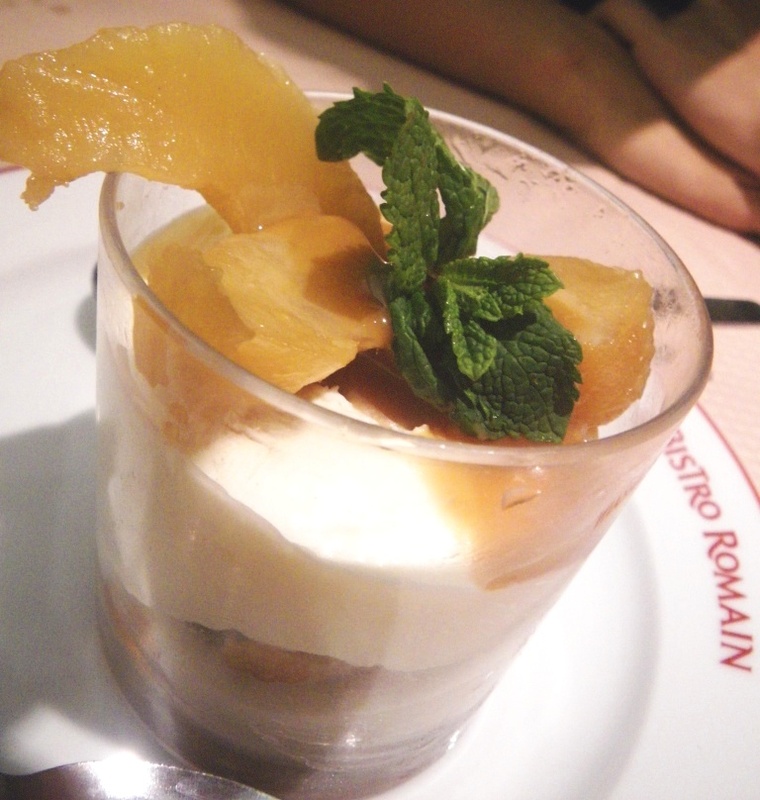 they do food so well…And, I do drop by Bistro Romain at least once every time I am in France. So… it’s only fair I write a post about it. Personally, the price is reasonable and the service is passable. Just don’t expect it to be value for money with top quality french services. It is a chain after all. But, if you wish to avoid slow service, the trick is to have dinner early and avoid the dinner crowd. When I say early, I meant somewhere around 6:45 – 7:15pm. 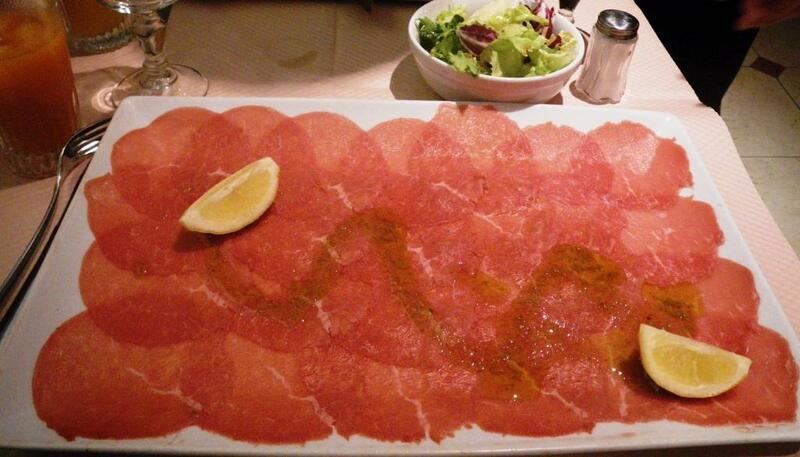 To tell you the truth, the only thing which brings me back to this place time and time again is their beef carpaccio (thinly slice raw beef). It might not be the best I had, but, it is good enough. Not to mention, it is the most thinly sliced I have ever come across. I love the simple way it is prepared with some pesto sauce and olive oil served with wedges of lemon. You can add parmesan cheese and rocket salad if you want. But, I prefer it with some sprinkle of salt. That way, I can fully enjoy the freshness of the beef by itself. Another reason? It’s eat all you want !!! 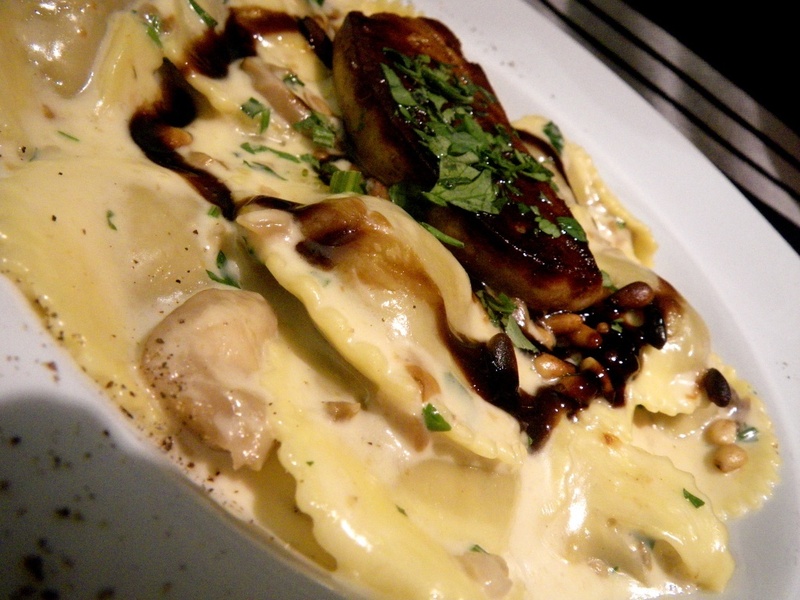 Tortelli cèpes et foie gras de canard (Tortelli with mushroom and duck liver). Definitely amazing on the first bite. But, you can only take so much of richness. One whole plate is just too heavy (in my opinion). But hub enjoys it all the way. 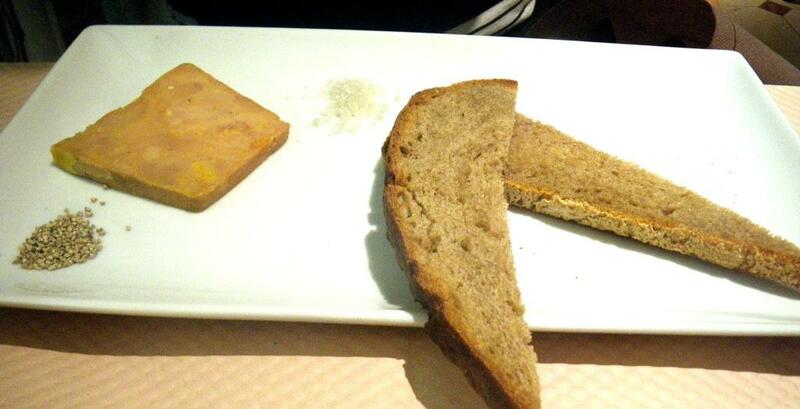 Yes – he lick up the plate with the bread (how French. Hahahha). Pavé de saumon rôti (Roast Salmon Steak) it’s ok. Nothing to rave about. The meat was cooked just right. Nice and moist. So many people tend to overcook salmon steak. As for their dessert, it’s nothing to rave about. Most of the time, I’ll just go with their ice cream or classic tiramisu. But, hub wanted to try their tiramisu special of the day. For me, it was some tiramisu ‘wannabe’ with pear (fail).